Q. My Volkswagen convertible top is starting to show some signs of wear, not much about the size of a penny. The car is only about three years old, and I’m a bit disappointed, I had always thought VW used better materials than other cars. Do you have any suggestions about what to do? A. The topping material is from Haartz one of the largest and in my opinion best convertible top companies in the world that just happens to be located in Massachusetts. The problem isn’t with the top material, it is with the adjustment of the top. The top rubs when in the open position causing the wear. Volkswagen did issue a technical service bulletin that describes the proper adjustment and replacement of the top. If the car is still under warranty the repair will be covered at no charge. As a side note, my wife’s car has the same problem which I noticed when I washed the car on a recent warmer day. Q. My Toyota Camry is having a problem with the transmission; it feels like it is dragging when I drive. I had a neighbor check under the hood and he said he couldn’t see any transmission fluid. Could the low fluid be a problem and what should I do? A. Low transmission fluid could certainly cause the transmission to act erratically. Unlike the engine which burns some oil during normal combustion, If the transmission fluid is low there is a leak that needs repair. At this point, the best thing to do would be to have the car towed to a trusted repair shop. Driving even a short distance without sufficient transmission fluid will certainly cause the transmission to fail. If you don’t have a shop you work with AAA (aaa.com) has approved repair shops that offer quick diagnoses and two-year warranties on repairs. Q. I have 2008 Lincoln Town-Car that was formally used as an executive limo. I love this car but the radio is terrible. It has lots of static on both AM and FM and worse when the rear defroster is on. Any ideas on what to do? A. The first thing is to determine if it is the radio or the car. A simple test is to put a portable radio in the car, if there is no static, then the issue is the car radio or antenna. More than likely the issue is the antenna; which is part of the rear window. If the antenna grid has been damaged by aggressive cleaning the radio will have static. In addition, if the previous owner added privacy tint to the window this only make matters worse. If this were my car I would add a new fender mount antenna to replace the one made into the rear window. Q. I’m in the market for a smaller SUV and there are too many choices. Have you driven anything lately that surprised you? I’m looking to spend no more than $35,000 and ride and handling are more important than off-road driving, although I still want all-wheel-drive for snowy weather. A. You are correct. This is a very popular segment with plenty of choices and all of them are pretty good. 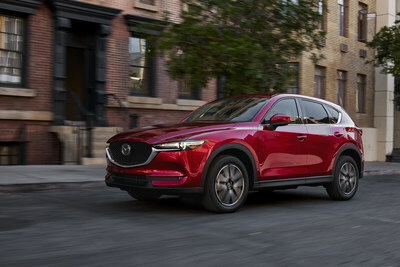 The Hyundai Santa-Fe Sport is a good choice as is the Nissan Rogue, but the one vehicle that I think is a “best-kept” secret is the Mazda CX-5. The CX-5 handles like a sedan, rides smoothly and depending on the model has an almost luxury car interior. Q. I have a 12-year old Chrysler and the defroster only works on the high-speed fan setting. I have seen you answer this question before as a faulty fan motor resistor. I replaced the resistor and still only have high speed. Could the problem be a poor ground? A. If the fan works on the high speed setting the ground circuit is okay. The next step is to test the switch, and you can do that with a test light. As you change positions with the switch the light should illuminate. If the light only comes on the high position, the problem could be the switch or a loose corroded wiring connection. At this point, you may be spending some time under the dash doing some additional investigation.